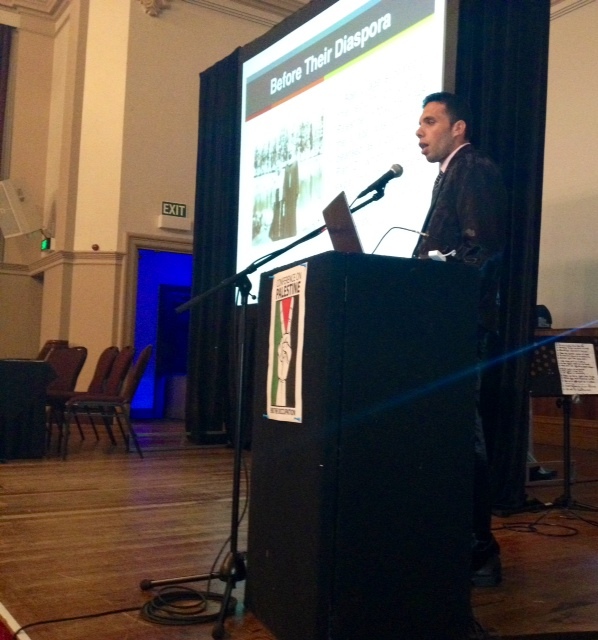 Yousef Aljamal speaks about the importance of the global BDS campaign and how it can relate to struggles on the ground in Palestine. An interview on the situation in Palestine made with Miko Peled and I, Native Affairs Show, Maori T.V, Auckland New Zealand. 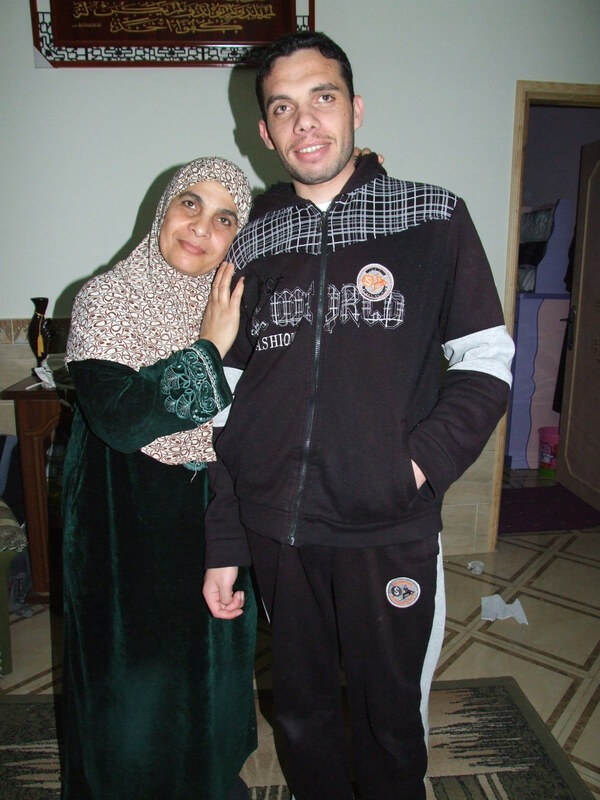 In May, June, 2007, Israel denied my eldest sister Zainab a permit to travel to the West Bank for medical purposes. This resulted in her death aged 26 years. Watch Press T.V’s report on her case. The Palestinian stone challenged the Israeli M16; Palestinian kids prevailed over Israeli soldiers. The photo of Mohammed Aldurra, dying in his dad’s lap and the stone of Faris Ouda, both14-year old Palestinians, spoke of a different narrative. The story of Palestine became no longer prisoner to Israel’s stereotypes. In the Gaza Strip, two important events shaped the consciousness of Palestinians which led to the rise of Palestinian narrative. The first was Israel’s siege on Gaza which started in 2006 and still going on until now, and the two Israeli massacres, the 2008-2009 “Cast Lead Operation” and the 2012 “Pillar of Clouds Operation,” which claimed the lives of hundreds of Palestinians. Hundreds of stories came out of Gaza by a people who have gone through the most terrible experience of killing, bombardment, electricity shortage, fuel and gas crises, house demolitions, checkpoints, closure and terror. This experience had to be told and narrated in stories. Gaza wrote back to tell what happened to 1.7 Million Palestinians for decades. Gaza wrote back about other fellow Palestinians scattered everywhere and nowhere. Gaza wrote back to protest the dominant narrative of Palestinians. Gaza spoke for itself. Gaza remembered the loss of loved ones and the aspirations of those who are still alive. “The remembering makes it now. And sometimes remembering will lead to a story, which makes it forever. That’s what stories are for. Stories are for joining the past to the future. Stories are for those late hours in the night when you can’t remember how you got from where you are. Stories are for eternity, when memory is erased, when there is nothing to remember except the story,” The Things They Carried, Tim O’Brien. Gaza’s responded with stories. Gaza eternalized itself in words, for now and forever. Gaza’s words are sharper than swords, and stronger than Israel’s tanks, warplanes and hasbara campaigns. The next battle between Palestinians and Israel will be a battle of words, of stories and narrative. The responsibility of Palestinian youth is to tell their stories. These stories are about what they often heard from their grandfathers and grandmothers, of what happened, and still happening to an entire nation. The writers belong a generation that has experienced Israel’s siege and blockade. Their experiences, especially during and following Israel’s 2008-2009 offensive known as “Operation Cast Lead”, and 2012 Operation “Pillar of the Clouds” have fundamentally impacted their lives and their writing. A story should be written about every Israeli crime in Palestine. A mountain of stories is expected to get out of Palestine. You can order your copy though JWP or Amazon. I wrote this article in July, yet the problems I had gone through kept me busy. Time to publish it, I think. 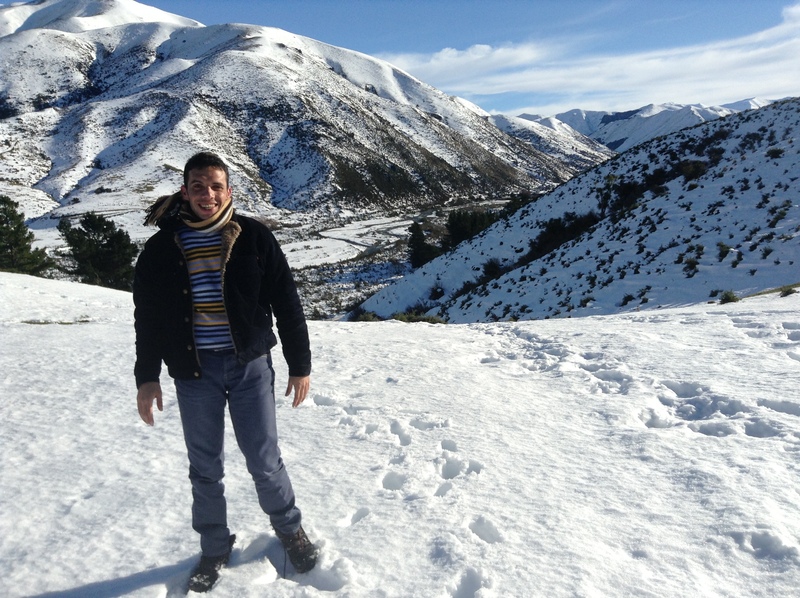 In February 2013, I applied to get a visa to conduct a speaking tour in Aotearoa, the land of the long white cloud. Thanks to the help of my friends there, I just barely managed to find out where to apply to. Two weeks passed, I had received conflicting information. ‘Apply to Cairo,’ I was told. ‘No, you have to apply to Tel Aviv,’ an officer told me. ‘The regional office of New Zealand Immigration is based in Dubai,’ another officer affirmed. ‘Bangkok is where you have to apply to,’ a new officer suggested. I got lost between Cairo, Tel Aviv, Dubai and Bangkok. After contacting Immigration in Wellington, I was told to apply to Dubai, a destination among the many others I had been told to apply to previously, but this time, I’d been told officially. I got the sponsorship and the visa application forms filled. I sent them to New Zealand Immigration Dubai with my Palestinian Authority passport. All went well. Weeks later, I got an email from NZI Dubai which read ‘Your visa application has been declined because you didn’t meet certain conditions,’ which were explained to me in detail. ‘You can still apply again,’ the officer wrote to me. My friends and the organizers of the National Conference on Palestine, at which I was invited to speak, believed that the decision was politically motivated. We all agreed to take the challenge until I got the visa. Again, I was asked to provide loads of documents which ‘explain the purpose of my visit and my intent to return to Gaza.’ I provided all these documents, including tens of invitations, character references, photos, and tickets – to the satisfaction of the officer, and probably to her surprise. I was told that I would only get my visa endorsed on my passport if I sent confirmed flights bookings. I did. My plan was to travel to New Zealand directly all the way from Cairo to United Arab Emirates then Melbourne in Australia and finally arrive in Auckland, New Zealand. But I was told that I needed to get a transit visa from Australia in order to be able to land in Melbourne to get my connecting flight to Auckland. I told the organizers. To my disappointment, it was too late! It’s always about Plan B! ‘If you travel through Malaysia, you don’t need a transit visa,’ a friend suggested. By then, I had already received an invitation to participate in the launch of the Prisoners’ Diaries, a book I co-translated, in the Malaysian capital Kuala Lumpur. I changed my flights for the second time. It was June 2nd, my passport was still in the office of New Zealand Immigration Dubai, I was running out of time. Once I learned that my visa was endorsed to my passport, you can imagine my delight. I asked to get it back through an international shipping company which has an office in Gaza. With difficulty, I booked to travel through Rafah Crossing on June 11th, 2013. I had to contact the shipping company in Dubai to rush them. My passport arrived from UAE to Jordan on June 4th, 2013. I had to contact their office in Amman to rush them. The passport finally arrived in Palestine (Ramallah) on June 6th, 2013. It was a holiday that day, which meant I would not be able to get it before Sunday, because Friday is a day off in Palestine, the Israeli crossing connecting the West Bank with Gaza is shut on Saturdays (the Jewish Sabbath) and the shipping company wasn’t working on Sunday because Thursday was a holiday and thus they didn’t have enough documents to ship to justify working on Sunday. I organized with another shipping company to deliver before Sunday to no avail. I got it on Monday, a day after my booking at Rafah. Again with difficulty, I managed to change the booking to Tuesday – keep in mind that not having my passport with me made it almost impossible to book. All went well, contrary to my expectation. On Tuesday, June 11th, after waiting ten hours and after having my passport stamped at the Palestinian side of the border, an Egyptian officer told the Palestinian liaison officer that the number of passengers who crossed that day was ‘enough’ and those who remained must wait until the next day. The next day was reserved for those travelling to Saudi Arabia to perform Umrah, thus ‘next day’ really meant Thursday. My flight was supposed to be on Thursday noon, I had to change it for the third time. I managed to cross to Egypt on Thursday, June 13th 2013. My flight was the next day; I spent a night in Cairo before heading to the Airport. My connecting flight to Malaysia was in Doha, Qatar. I arrived in Kuala Lumpur, Malaysia on June 15th. I spent five days there, participated in some Palestine events and visited some places. 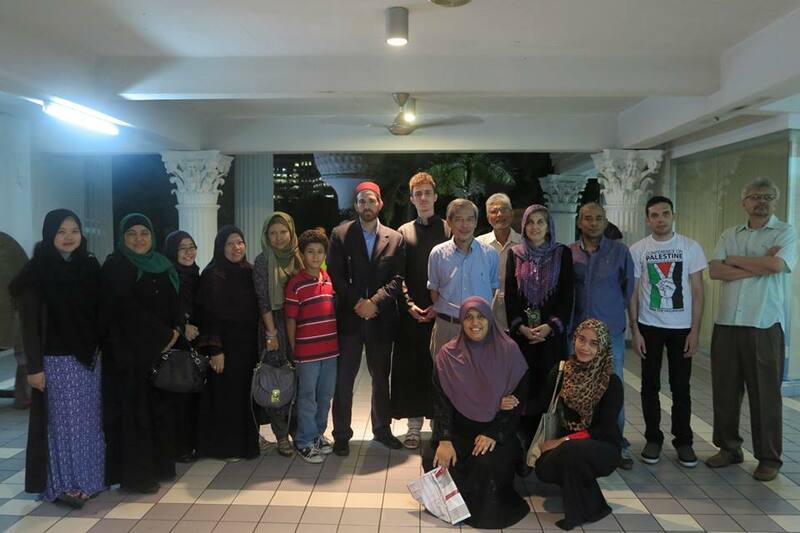 Malaysians are welcoming, hospitable, kind and well-aware of the situation in Palestine. I enjoyed my time there, where I met my friend Miko Peled, the author of The General’s Son: Journey of an Israeli in Palestine, for the second time (the first time was in Gaza early this year). We flew together to Auckland, New Zealand to participate in the National Conference on Palestine, which was held in NZ for the first time in more than 20 years. I visited the National Museum in Auckland where I saw my country’s name written on the wall of the Museum. Fallen soldiers in Palestine were remembered. Palestine 1916–1918, Rafah, Gaza, and Beer Alsaba among other Palestinian towns were written on the wall. There was no Israel at that time. At that time, Palestine and Aotearoa, were under colonial rule by Britain, ‘the Great Empire’ as it’s usually described. Palestinians and Māori were one, subjected to the same brutality. Britain, again, was there to ‘share’ their lands with them, to ‘enlighten’ the backward people of Palestine and Aotearoa, to make them civilized and most importantly, to make them feel grateful to the white man for doing all of this. There, I saw Māori performing their heritage and culture in their language, on their land. I felt associated with people who I never met or spoke to. I felt one of them. They were colonized by Britain, the white man of the empire back in 1840. There, I imagined how “backward” Palestinians and Maori would look like in the eyes of their colonizers had they not been exposed to the ‘civilization of the white man’. 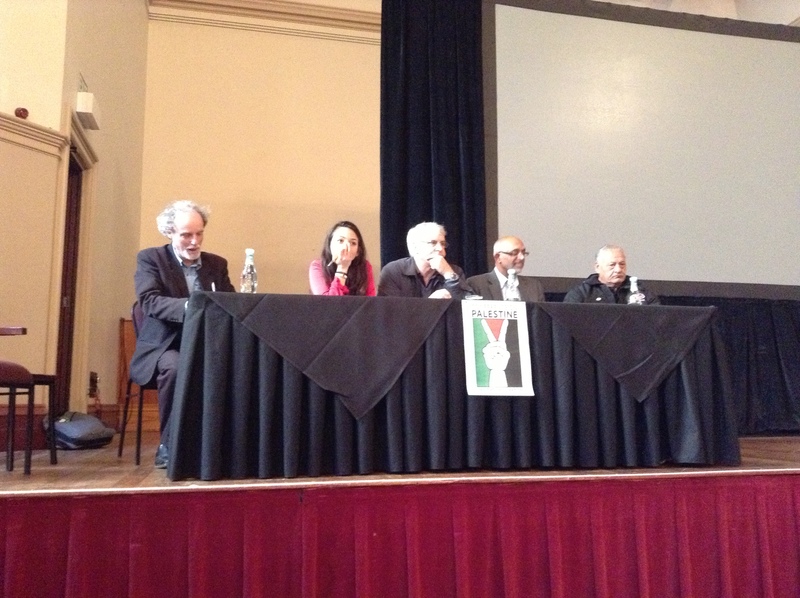 The first day of the conference was for activists strategizing for Palestine. The most important thing that came out of the workshops was starting a nationwide BDS movement in Aotearoa. There, I spoke about my understanding of solidarity with Palestine, the idea of being shoulder to shoulder with us, or being led by us, and never imposing any orientalist point of view on us. The notion of being with us, in the refugee camps, living with us, going through the same hardships and living the joy, however rare, with us too. There I spoke about the importance and necessity of taking action through Boycott, Divestment and Sanctions (BDS), the call of the Palestinian civil society in 2005, and how Kiwis can be a part of it, to bring an end to apartheid in Palestine. I reminded them about G4S, Veolia, Super Fund and Soda Stream. 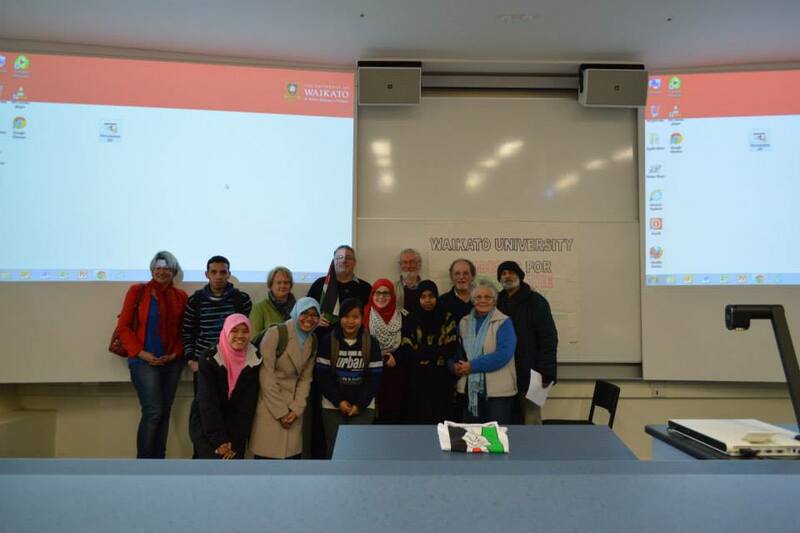 People who attended the conference, an estimated 400, most ordinary Kiwis, were passionate about being involved and learning more about Palestine. And there too, I spoke about Zainab and Omar, the older and the younger. I spoke about my great grandfather who was killed in 1948, defending the village of Aqer, the biblical Kingdom of Ekron, where he belonged and was buried. I spoke about my grandfather on my mother’s side, Ismail, a personal friend of the late PLO Chairman, Yasser Arafat, who spent six years in the Israeli jails. I spoke about my refugee camp, the smile of the kids despite the very crowded place. I spoke about the unfit-for-human-consumption water they drink; the sewage that makes it all the way from the border through the Gaza valley and ends up in the Mediterranean. I spoke about death. I spoke about hope. I spoke about life and future. The first thing a Palestinian does, I claimed, is comparing life ‘here’ and ‘there’. There, I saw the beauty of Mother Nature. There, life seemed different; people are smiling ‘a lot”, compared to refugees here. There, lakes, mountains, hills, which are mostly occupied by 40 million sheep, are declaring the beauty of nature. The Pacific is so calm. The sun is so strong, and people are ‘happy’. There, no electricity shortage, no occupation, no borders, no tunnels, no polluted water, no limited landscape, no man-made loss, no fear of tomorrow or separation. I felt peace of mind. But I also remembered my fellow refugees back home. The whole thing, the experience, reminded me of how deprived we are. Occupation has stolen our beautiful environment too and thrown us in flat refugee camps that look like a concrete jungle. Miko and I were interviewed by the Māori TV show, Native Affairs. We spoke about occupation in Palestine, to the shock of Annabelle, the journalist who interviewed us. There, Roger Fowler and his wife Lyn took care of me. My Auckland mum, Lyn, told me a lot about the struggle of Māori in Aotearoa. It’s different when you learn about it from Māori themselves. That’s what owning narrative is. There, I saw Palestine in the faces of Palestinians I met in the Conference. I saw Palestine in the face of Ahmed and Ibrahim who were born in Iraq and whose families were kicked out of Palestine in 1948. They spoke about their village in 1948, Bit Ijzim, near Haifa. I met Naji, whose mother’s family live in my refugee camp in Gaza. I met Nabih, the Palestinian chef from Shaab, who made us falafel, how tasty to eat falafel in the Diaspora. I met Shahd. I met Shayma’a and Hela. I met Mohamed. I met Omar. I met Tuma. I met Nadia. I saw Palestine in their eyes. They were eager to listen to me and talk about their stolen homeland. I met Ruth, Ali, Tali, Martin, Mike, Lois, Lauren, Natalie, Alastair, Don, and John, all working for Palestine, there, in the other side of the world. Then Billy, the ever-helpful Palestinian, who has the most wonderful family, showed us around. Rotorua, the Māori word for ‘the two lakes’, was our destination once we finished the conference. It took us a four-hour drive with the extremely excited Billy (Nabeel). I was sitting in the back with Esther, his Mexican wife, Billy driving and talking to Miko and the kids sleeping on the middle seat. I was exposed to a new level of beauty of Mother Nature. I enjoyed my time in the hot springs. It was a day to remember, Billy. I watched the Haka, the traditional Māori dance. I ate and ‘sold’ corns. ‘Yalla Ya Durra- I am selling corns,’ I announced. ‘This is a nice country, everything is available, why don’t you stay here,’ Miko kept telling me jokingly. We drove back to Auckland on the same day. Miko flew to the US, I stayed in Auckland. The next day, Roger and I drove to Hamilton, to the south of Auckland. 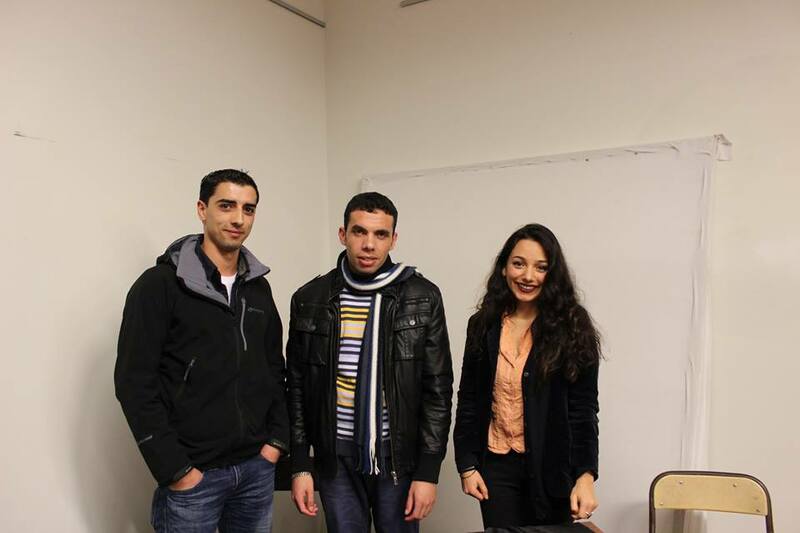 Students for Justice in the Middle East at Waikato University organized a talk on Palestine (hats off to Shayma’a Arif, a strong Iraqi-Syrian activist who leads the group, for organizing the talk). I drove to Hamilton Airport soon after I finished the talk. I said farewell to Roger and Hamilton. The plane took off to Wellington. The long white cloud accompanied us all the way to Wellington, as if it protects Aotearoa from the presumable existence of aliens. Omar waited for me at Wellington Airport with his very active little girl Reem. As I arrived, he was running after Reem, trying to catch her. Moments later, Richard Mayson arrived. Richard has a sense of humor very few men have in this world. I enjoyed every single moment with him. I learned a lot from him. We drove together to Omar’s house. Serena, Omar’s wife, was waiting for us. Omar, Serena and Reem were very warm and welcoming. ‘Did you miss Yousef?,’ Omar asked Reem repeatedly after I stayed outside the house for two days. ‘NO! NO,’ she would respond. Omar and Serena used to organize and mobilize for Palestine for years, but the birth of naughty Reem kept them busy recently, they told me. Omar’s knowledge of the Middle East in general and Palestine in particular was remarkable. Despite leaving Morocco in 1996, he is still up to date with the Middle East’s politics. The view of the Pacific from Omar’s house’s window left me amazed. Peace was all over the place, except for some planes taking off from the nearby Wellington Airport. They reminded me of F16s back home. They probably wanted to tell me that I couldn’t enjoy the trip fully; there must be a reminder, an ugly one, of the occupation. Wellington’s activities and talks were to my satisfaction, thanks to the organizers there, namely Don Carson and Nadia Abu Shanab. Richard and Nadia would take me around for meetings and talks. Nadia, who gave one of the most powerful speeches at the National Conference on Palestine in Auckland, has a strong character and a lovely smile. Richard was there to teach me to smile through his jokes and sarcasm. He was a Labour MP in the 70s and ended up working as a taxi driver. Richard awakened my sense of humor, almost lost in Gaza after endless tragedies, and made me laugh, just as I cried many times, from my heart. And Nadia, who always makes me speechless, gave me hope that Palestine is still alive in the other side of the world. ‘It’s time for concrete actions,’ she addressed the conference, confidently and eloquently. I started my first day by meeting the desk officer of Palestine/Israel in the Ministry of Foreign Affairs and Trade. I described the ordeal I had gone through to get the visa. She took many notes, which will help, hopefully, adopt a more ‘balanced approach when it comes to Palestine and Israel’ as she put it. Don Carson, who started mobilizing for Palestine decades ago when he was a student at the university, did a wonderful job of bringing me there. He interviewed me about Palestine on Access Radio, a community radio station based in Wellington. The next day, I met MP Te Ururoa James William Ben Flavell from the Māori Party. He talked to me about the struggle of the Māori people in New Zealand. For an hour, I talked to him about Palestine. The meeting was fruitful for both of us. The following day, I met MP Kennedy Graham of the Foreign Affairs Committee of Parliament. Graham visited the West Bank in the past and he is aware of the Israeli occupation of Palestine. That day concluded with a talk I gave at a community center titled ‘Decolonizing Narrative: Solidarity, Voice and Social Media’ in Wellington city center, hosted by Nadia of Students for Justice in Palestine. Dr. Dougal McNeill, a lecturer on post-colonial literature, gave an amazing speech. He spoke my mind. The event was attended by dozens of activists. I did a radio interview with Freedom Radio Aotearoa about Palestinian prisoners. The aim of the interview was to shed light on this important issue that very few people know about there. 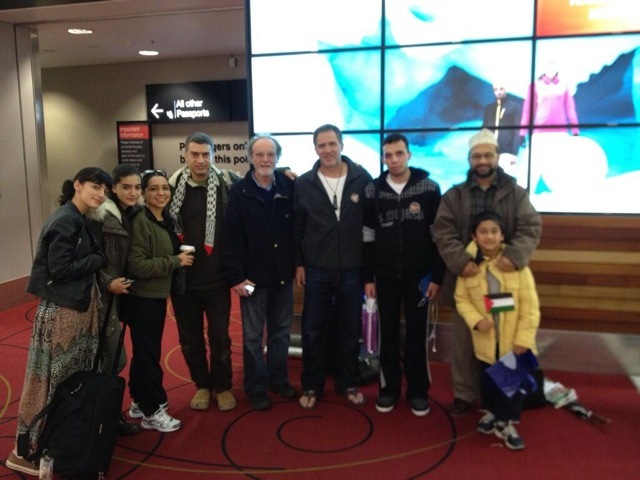 I met some Palestinians in Wellington too. Mohammad is a PhD student at Victoria University. He is a good cook too. Staying with Mohammad reminded me of home. He introduced me to Joseph Azar, a Palestinian from Lod originally, in what is today Israel. They both grew up in Jordan. ‘Our neighborhood in Gaza is full of Lidawis,’ Told him, using the Arabic word for people who are originally from Lod city. I met Shahd El-Matary, a Palestinian from Jaffa, living in New Zealand. Palestine was all over the place. One does not realize the struggle of keeping identity in the Diaspora except after travelling abroad. My last stop in New Zealand was in Christchurch, where I saw snow for the first time in my life, thanks to Natalie and Lucas who showed me around. Canterbury in one day, Lucas concluded the ever-amazing trip with the ever-amazing driver, Nat. I stayed with two ‘seniors’, Martin and his wife Lois. Both attended the conference in Auckland and visited Palestine. They were warm and welcoming. I met Fathi Hassneiah, a Palestinian originally from Gaza. He invited me for lunch and we talked about Palestine. 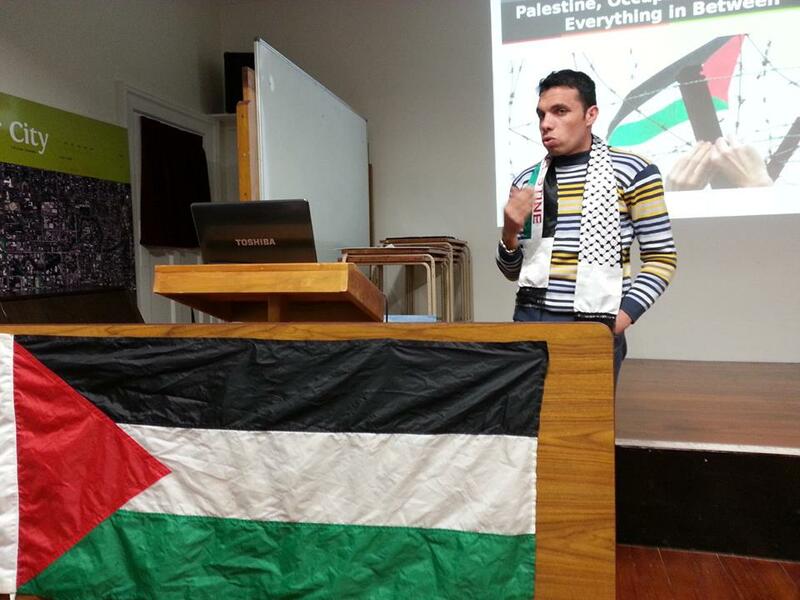 Fathi works hard to raise awareness about the situation in Palestine. On the second day, I had an interview with CTV, a local TV station. Then I had a radio interview with Lois and Martin on Plains FM about Palestine. The Christchurch visit was concluded with a talk I gave, which was attended by almost 50 people, including four Israelis. ‘We are sorry, we have relatives in Israel, but they don’t do such things,’ one of them, who introduced himself as an Ashkenazi Jew, told me. The questions raised and the discussions were fruitful too. Thanks to the organizer Lauren, my new hero. Lauren started a new group for Palestine in Canterbury called ‘Canterbury for Justice in Palestine,’ to my thrill and satisfaction. ‘I am in,’ shouted one of them. 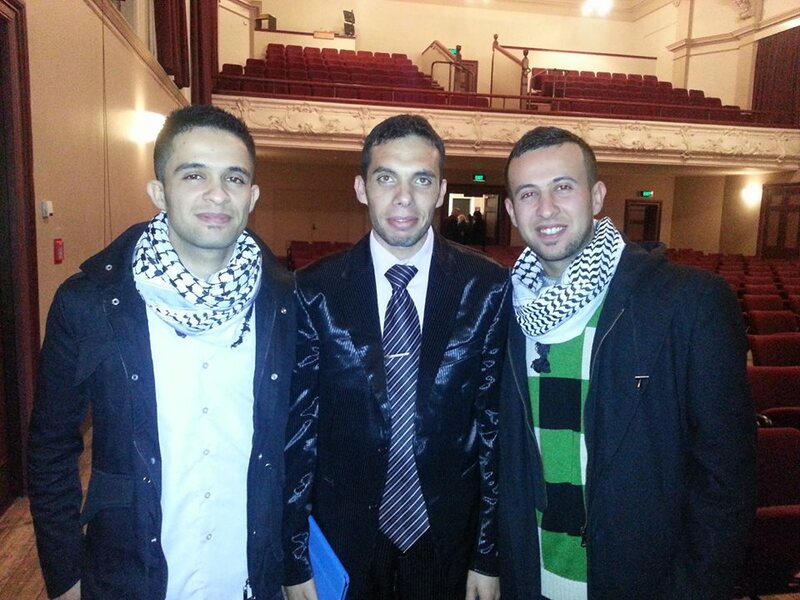 At the talk, I met Rami Dawwas, a Palestinian from Gaza living in Christchurch. Soon after the talk, we had ice cream and coffee. His younger brother Emad joined us. Time for goodbyes came, hugs. The next day, I flew back to Auckland. To my surprise, Maram, a Palestinian who I got to know through Facebook, and had not met while I was there days ago, was waiting for me at the airport. Billy, his wonderful family and the Fowlers were waiting for me too. Maram and I talked about Palestine, home. I enjoyed talking to a Palestinian about home from a perspective of someone who grew up outside Palestine. Maram enjoyed recalling back the memories of Gaza years ago before she left with her family. An iconic photo was taken at the airport, in which Maram held my books and Tame, Tawera Fowler’s son, looked at me. I flew back to Kuala Lumpur. Auntie Azra, the most professional cook I have ever met in Malaysia, was waiting for me at the train station. I stayed in her house for three days. The warm reception I got made me feel at home. In addition to the many visitors and guests the family had, food was another attraction for me! Visiting the Egyptian Embassy was the first thing I did, thanks to Ahmed, a Palestinian from Gaza who took me around. I got my visa a day before Rafah was shut down. On my way to the airport, the Egyptian authorities shut down the Rafah Crossing, the only way in and out of Gaza. As I arrived in Cairo, the Egyptian officers asked me and other Palestinians to wait for a few minutes. We were taken to the deportation room to join dozens of Palestinians who were stuck there. 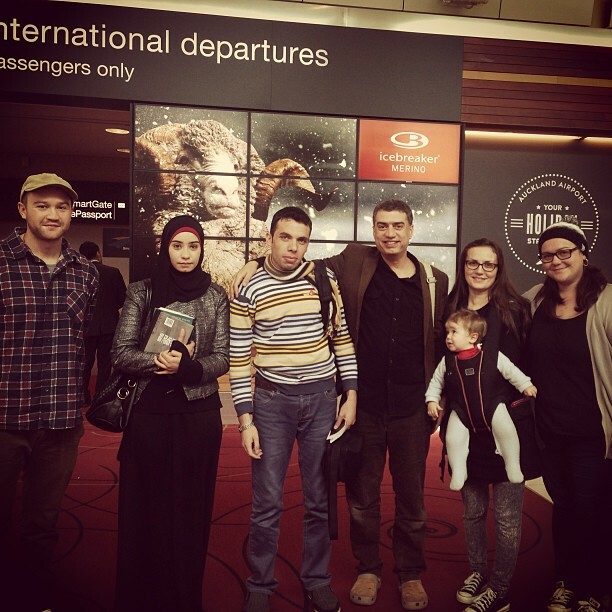 Hours later, all of us were deported back to the countries from which we had flown to Cairo. After paying the airfare (even though the officer in Cairo told me that the airline will cover it) I finally went to the Immigration Office in the airport. The Qatar Airline officer talked to the immigration officer and left. I was asked to sit and wait. The officer called upon me. I answered several questions about deportation and staying in Malaysia. I got my passport back. I was allowed to enter the country. Satisfied and exhausted, I picked up my luggage. Again, Auntie Azrua came to the train station to pick me up. Faheem, her son, helped me put my luggage in the car. She drove to her home. I got stuck in Malaysia for 12 days, during which I enjoyed the hospitality of Auntie Azrua in particular and the Malaysian people in general. Arabic food was present, thanks to the ever skillful and professional cook, Azrua. This was the first Ramadan I ever spent away from my family. I missed Gaza so much. Gaza, in Ramadan, looks very special. Markets are full of Ramadan items that were missing in Malaysia. As I walked through a popular market along with Azrua and her youngest son Shakeel, an alarming sound was heard! The sound of a generator was coming out of the crowds who came to purchase food for breakfast. I recognized it. I felt at home, one more time. I spent all 12 days at Auntie Azrua’s house, got invited out by some friends, who did their best to reduce my frustration after I was sent back, after I was told I can’t get home. I spent much of my time contacting the Palestinian Embassy, both in KL and Cairo, asking them about the possibility of opening the borders. I was finally told that the border will be open for a few days. Airlines were given instructions not to allow any Palestinian to board any flight heading to Cairo. Opening the border meant nothing. Once new instructions were given to airlines, I booked the first available flight on Egypt Airlines from KL to Cairo. It was Wednesday, July 17th at 10:00 pm. I arrived in Cairo by dawn the next day. The moment I arrived at the airport, authorities were taking Palestinians out of the deportation room to be deported to Gaza. I joined them. Thank God I arrived on time, had I arrived minutes later I would have had to stay in the deportation room two more days, since the next day was Friday, which meant Rafah Crossing would be shut. Almost seven hours later, I arrived at Rafah. I took me three hours to cross to the Palestinian side, since the Egyptian arrivals hall was full of Palestinians who were trapped in Saudi Arabia for eight days. Because of my bad experience with deportation, I preferred not to inform my family I was getting back to Gaza. As I arrived on the Palestinian side, I called my father and asked him to keep it a secret. It took me five minutes to leave the Palestinian side of the crossing into Gaza. 40 minutes later, I arrived at my family’s house in Alnusierat refugee camp. I started pushing my luggage into the house. As I went back to pay the driver, my mother saw my luggage! She started running towards me in shock and surprise. We hugged each other. I had returned home. I thought getting back to Gaza and staying for two months until my MA program starts in Malaysia was a good idea. Rafah Crossing proved me wrong. I got back to Malaysia on October 10th, 2013 after weeks of struggling with borders. You can read the full story here. I could have spared myself all of this turmoil if I were able to travel through Erez checkpointin the north. But Israel has prevented the vast majority of Palestinians in Gaza from entering for years now. And now Egypt is imposing similar measures on Palestinians in Gaza attempting to travel via Rafah, citing security measures. The dream of seeing my mother’s family in the West Bank, impossible to visit for most Palestinians in Gaza, for the first time in 14 years vanished in the blink of an eye. I was not given a permit, and thus couldn’t have the privilege of seeing my relatives at the border even for five minutes — let alone the chance to visit my grandparents’ graves in Jericho’scemetery. Yousef M. Aljamal is a Gaza-based translator and blogger. He co-translated The Prisoners’ Diaries: Palestinian Voices from the Israeli Gulag. His website iswww.yeljamal.wordpress.com. He can be followed on Twitter: @YousefAljamal.